Okay, so everyone wants to save money, but how do we save? Well, if you’ve got a lawn irrigation system, you are off to a good start. 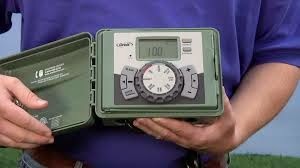 You can make your lawn sprinkler system even more efficient by adding a timer to the system. Sprinkler system timers are the best. They come at a reasonable cost, and can save you of money. 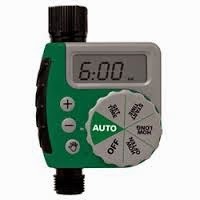 Plus, they eliminate the guesswork of wondering things like “Did I turn on the sprinkler system?” Or worse, “Did I turn off the sprinkler system?” Sprinkler timers allow you to program your sprinkler system watering times so you don’t waste money. 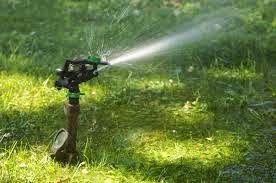 This helps to ensure you only use the amount of water you need for your watering needs. This goes beyond just saving your money. Too much water is bad for your lawn. Remember to adjust the amount of water delivered to your lawn based on time of year and precipitation in your area. 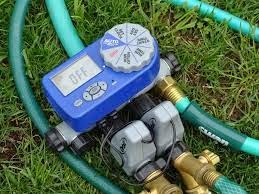 Adjust the sprinkler timer and set regular watering times.